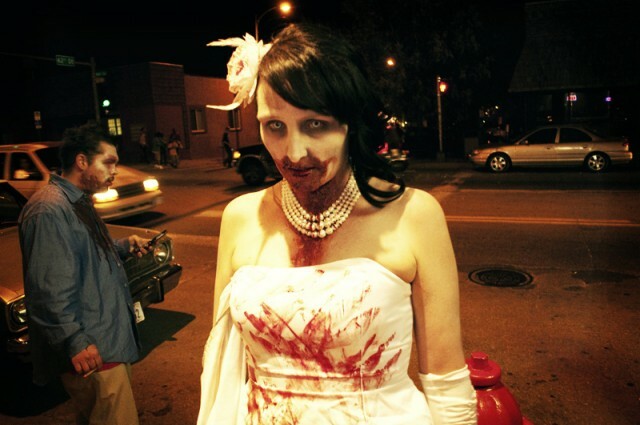 The Omaha Zombie Walk is a growing Omaha Halloween tradition and a night for the undead to officially take over the city. 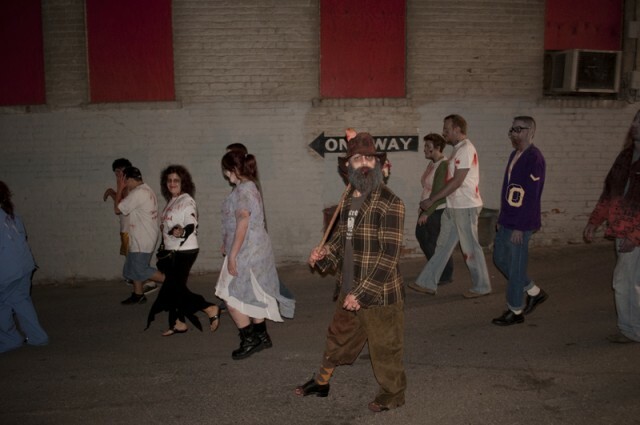 The FREE Zombie Walk is a truly unique event, beginning in downtown Benson in late afternoon and wrapping around the Benson neighborhood as night begins to fall. 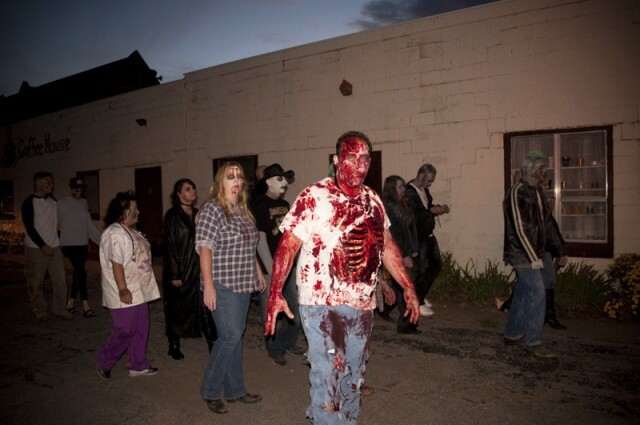 This is a family friendly walk, with zombies of all ages participating. 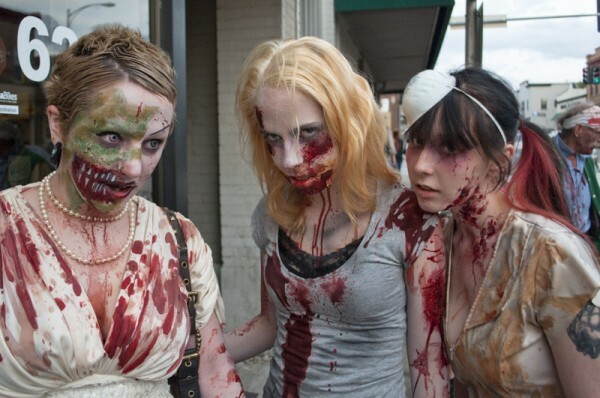 Though most will be dressed in the ripped clothing, fake blood, and open sores of the typical zombie (an inexpensive makeup booth is provided before the event), there are also designated "victims" who offer up their services in street clothing for the zombies to feast on. Zombie participants are encouraged to stay in character for the duration of the walk, maintaining a zombie shuffle and hunger for brains throughout the event The slurred calls of over 500 zombie participants "attacking" cars, searching for victims, and reeking havoc on the neighborhood makes for a bone chilling (and often very comical) sight and is a great precursor to the many Omaha Halloween events that follow during the next week. 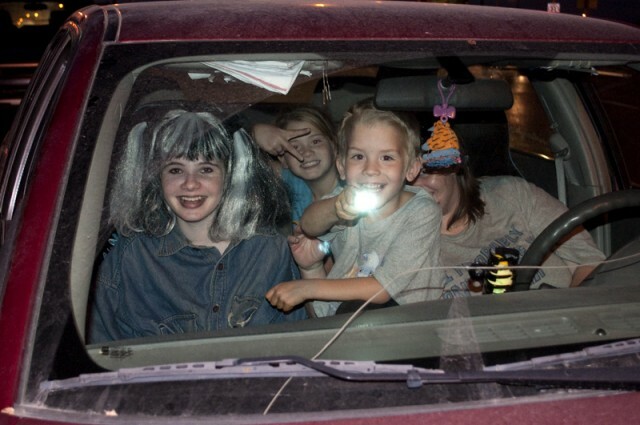 After the Zombie Walk, there is an all-ages Zombie Hop at the Waiting Room. The Zombie Hop features live bands, male and female costume contests, a Zombikini contest, and more. Would like to do makeup for the zombie walk but can’t find information on how to join the fun. Any feedback. I have pics of my work.